Our main concern is customers’ pleasant experience of shopping, as a result now we offer you options more than we ever did. By introducing any exclusive offer including MTM, bespoke and etc. offered by our business-partners such as pal zilrei,isaia and Zegna, we have tried to find the right path through our sensitive customers’ hearts, those wanting to be unique in their very own way. 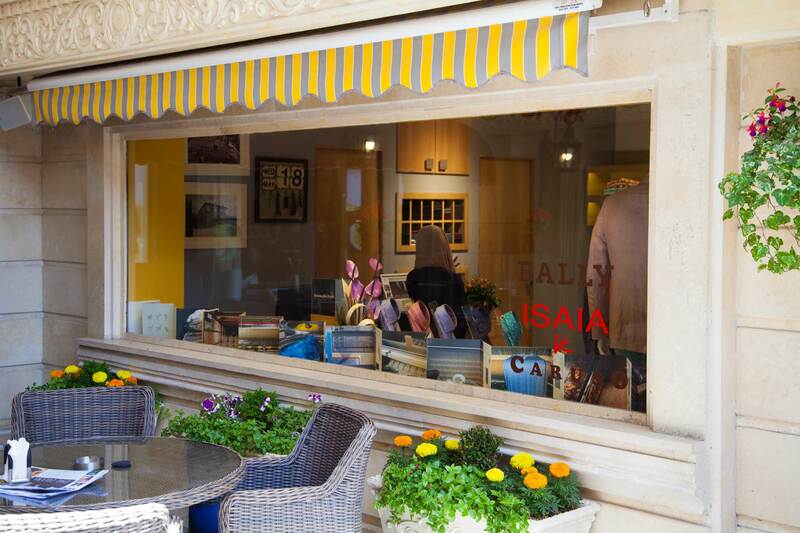 A good business depends mainly on its customers, therefore apart from such delicate services, we offer pre-made suits, shirts, belts, ties, shoes, and bags to the customers seeking for a high-speed quality shopping experience. Now enough about us, which one YOU prefer most? Pal zileri, Isaia,Caruso,zegna, Dormeuil, Monti, Thomas Mason or Scabal..
A quick look at how we got here. Cloth trade with England goes back to the early 1900’s, When “Mirza Alikhan Moein-Sanaye” (Sanayei) in Isfahan first makes a brilliant change in common way of fabric business by importing fabrics from England. The company expands as his sons join. The youngest, Khosrow, launches the biggest fabric shop of Iran in 1972. Due to his ongoing search for the newest and the best, soon he starts trading with the best fabric factories of Italy and England. 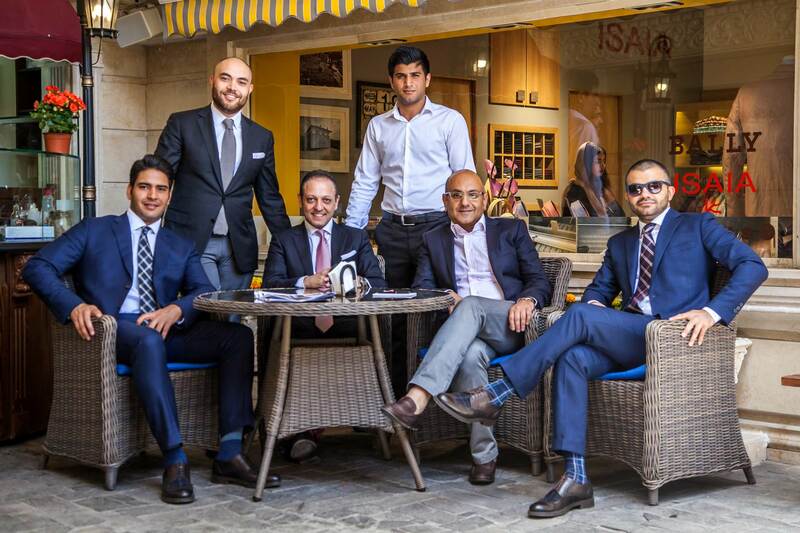 After 100 years of importing finest Italian and English fabrics by the second generation of Sanayei’s family, his sons decide to expand the company even larger by adding 20 more companies to their business partnership list. 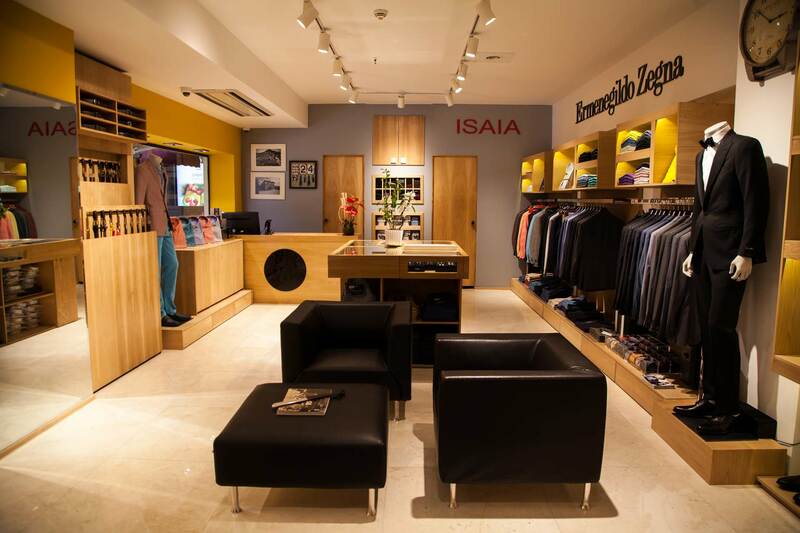 The first and only official shop of Zegna was launched in Fereshte, Tehrah. Providing customers with a comfortable place for pre-made clothes and MTM. The main key to a successful business is keeping an open eye on customers’ needs. As a result our company has expanded the business by offering more variety for all types of customers with their different tastes and desires in three different shop. 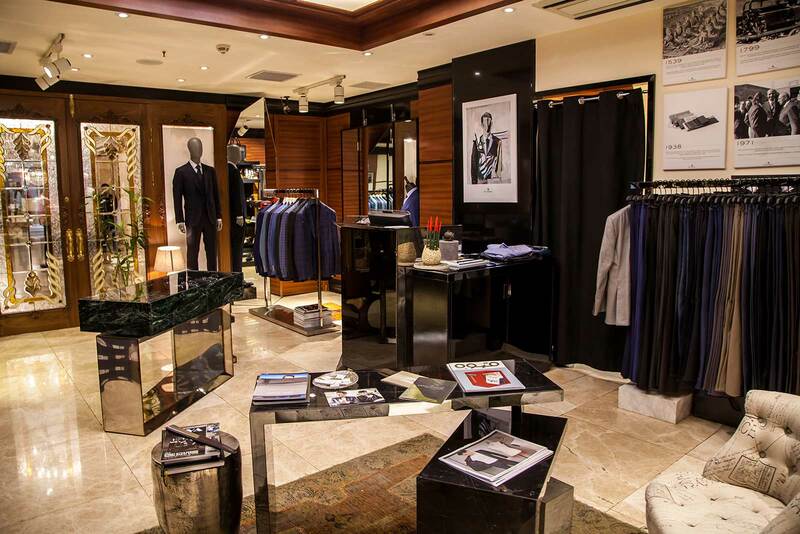 Today along with MTM by Zegna, you can have tailor made suit and ready-to-wear clothes offered by pal zileri in our official pal zileri shop and other brands like Scabal,Isaia,Caruso Dormeuil, and many other best-known companies in our two other shops. 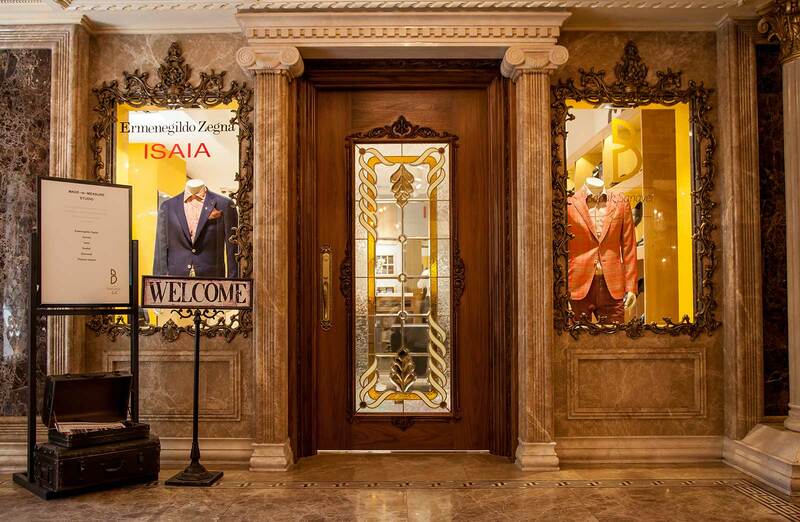 Our made-to-measure service by brands like ISAIA,PAL ZILERI,CARUSO,ZEGNA,SCABAL truly and fully represents these brands dedication to quality and customer experience, suits, jackets, trousers, over coats, shirt and ties can be tailored and styled down to the very last detail to fit the needs and taste of any client with delivery in just a few weeks. By a selection of over million premium fabrics in both classic and seasonal styles. Entirely natural material for linings and accessories and customers name stitched into labels -all finished by hand and epitome of personalized fine tailoring.